In 1941 Eleanor Coen became the first woman to win the James Nelson Raymond Traveling Fellowship in painting at the school of the Art Institute of Chicago. She chose to go to Mexico rather than Europe, the traditional choice prior to that time, because of the atmosphere in Europe, pre WW II. 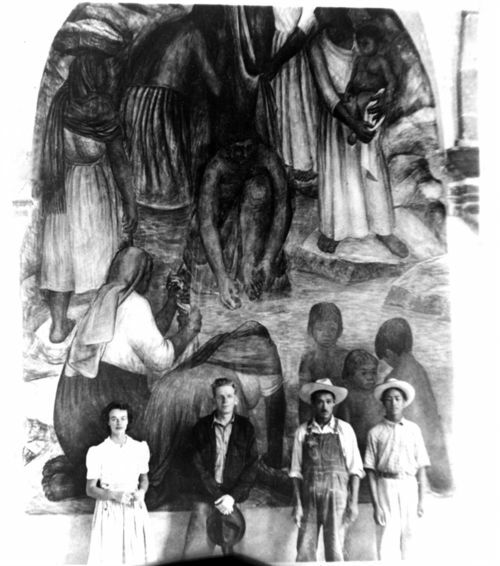 Eleanor Coen's work in Mexico included a fresco mural in San Miguel de Allende at the Escuela Universitaria de Bellas Arts, which is now a national monument. 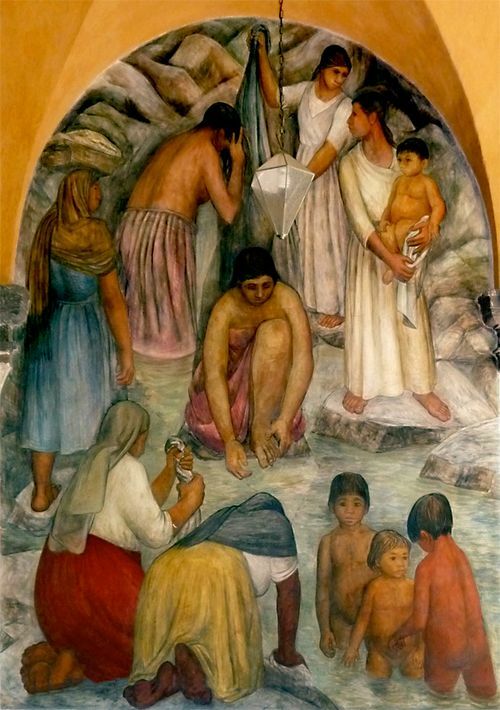 At that time her work was influenced by Clement Orozco, although her mural's subject matter, women washing at a river with children was clearly from a woman's point of view. 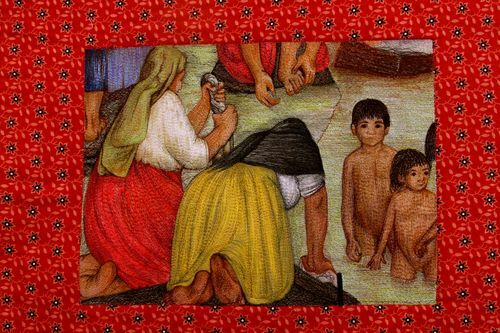 As a result it became the subject of one of my quilts. My own small part of Mexico and San Miguel Allende, a thread painting of the image.